Shows longitudinal section of a normal tooth. 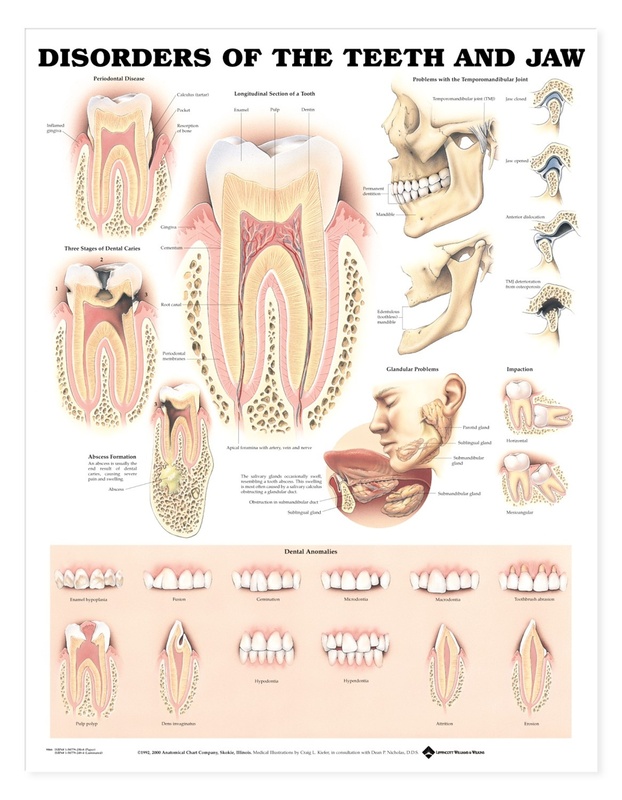 Illustrates periodontal disease, three stages of dental caries, abscess formation, problems with the temporomandibular joint, glandular problems and impaction. 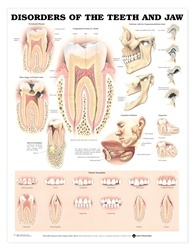 Also shows 12 dental anomalies: enamel hypoplasia, fusion, germination, microdontia, macrodontia, toothbrush abrasion, hypodontia, hyperdontia, pulp polyp, dens invaginatus, attrition, and erosion. Size is 20" W by 26" H.
Laminated version has grommets in top corners.